At this point, many questions had to be asked. Though the strike was still in full effect, it was unknown what more could be done. While all radicals have their own preferred solution – revolution, communization, insurrection – these clearly exist outside the strike’s limitations. There is no doubt that striking workers are more open to both radical expression and opportunism alike. Nonetheless, the attempts of various acronym groups to mold the strikers to their preferred ideological projections fell flat. The Charleston area was left without mass workers’ assemblies or low-level sabotage, a space in which radicals failed. Instead of workers’ assemblies, radicals including the West Virginia IWW urged workers to stay in their reformist union or maybe dual card, worried that radicalization of the workers would play into the Republican strategy of damaging unions by associating them with radical politics. It was as if radicals were concerned with workers being too radical, at a time when radical action was most necessary. Citing a “red scare” among teachers, some nominally socialist organizations even discouraged members from joining picket lines. The strike is over. Though some may see it as a return to normalcy, workers throughout the state now hold a newfound militancy. 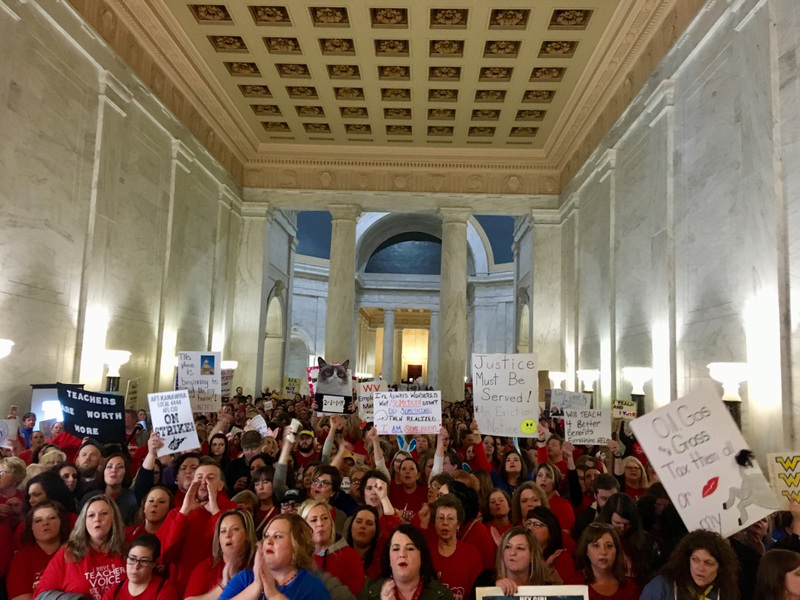 With much of the future of West Virginia Education still in the air, continued action is never out of the question. Content aside: The authors used the name and affiliation of a West Virginia IWW member without that person's consent. Can that be removed from the byline? Instead of workers’ assemblies, radicals including the West Virginia IWW urged workers to stay in their reformist union or maybe dual card, worried that radicalization of the workers would play into the Republican strategy of damaging unions by associating them with radical politics. Is straight up wrong. (I'll give them the benefit of the doubt that it was just mistake.) The authors don't quote anything from the West Virginia IWW, because there's nothing remotely close to what they claim. People should also begin organizing mobilization committees within their communities and make plans to support eventual picket lines, in order to show any scabs or police that strikers have community support. Sorry about that - no malice intended.